Estimating Fundamentals, Decks, Garages & Front Counter Sales (Basic) covers all of the fundamentals of estimating small projects such as decks, sheds and garages. In this course attendees are taught the fundamental aspects of estimating in areas that include foundations, basic framing and finishing materials. Attendees are provided with a step-by-step workbook to assist them through the course and to keep for future reference. Practical exercises will be completed on the various sections for hands-on training purposes. This course covers all basics of estimating residential construction starting from the ground up. This includes disclaimers, walls, roofing systems, metal sheathing and reading & understanding blueprints. Attendees are provided with a step-by-step workbook to assist them through the course. This workbook is theirs to keep for future reference. Practical exercises will be completed on the various sections for hands-on training purposes. Advanced residential estimating is a one day course for experienced estimators or estimators who will be working on modern house styles with complicated roofs (multi pitch, angled walls, and cathedral ceilings). We review home styles in your region and review practical estimating processes to accommodate them. The process of speed estimating is introduced as well as current estimating tools for manual estimating. It is also a chance for estimators to interact with each other about estimating best practices. 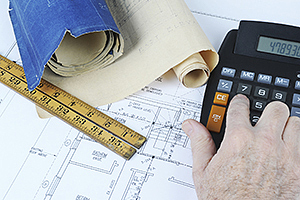 A manual estimator’s toolbox of tips and details comes with the course.